Full featured stereo preamp and DI box with plenty of pro features. 2 channels with input gain bass and treble controls as well as phase and mid-dip shape on/off switches. 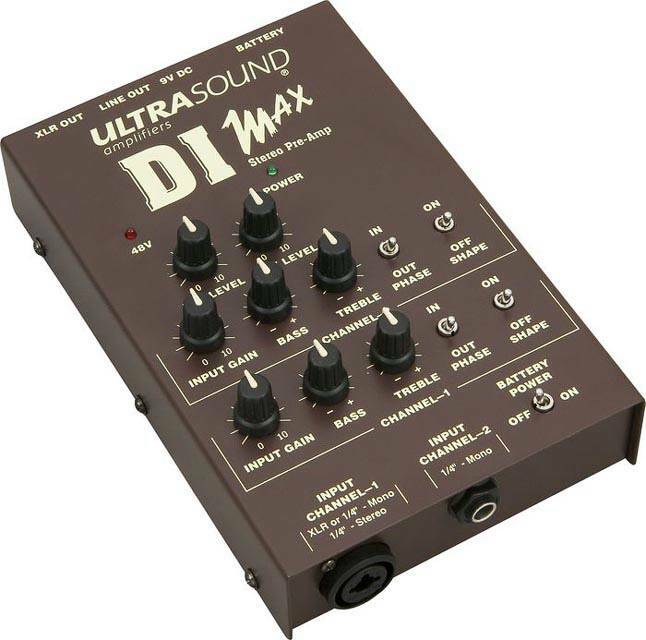 XLR, 1/4" mono or stereo inputs for channel 1, 1/4" mono input for channel 2, XLR level and line level controls, 48V phantom power capability, battery power on/off switch, balanced XLR output, 1/4" output and may be powered by a 9V battery or optional AC power supply (not included).